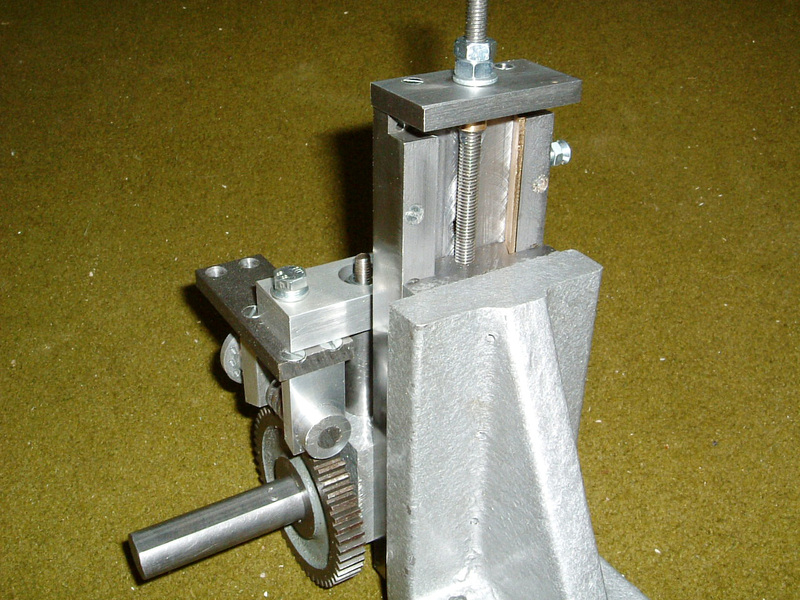 The vertical slide holds the work head in one of three positions to cater for various sized gears. 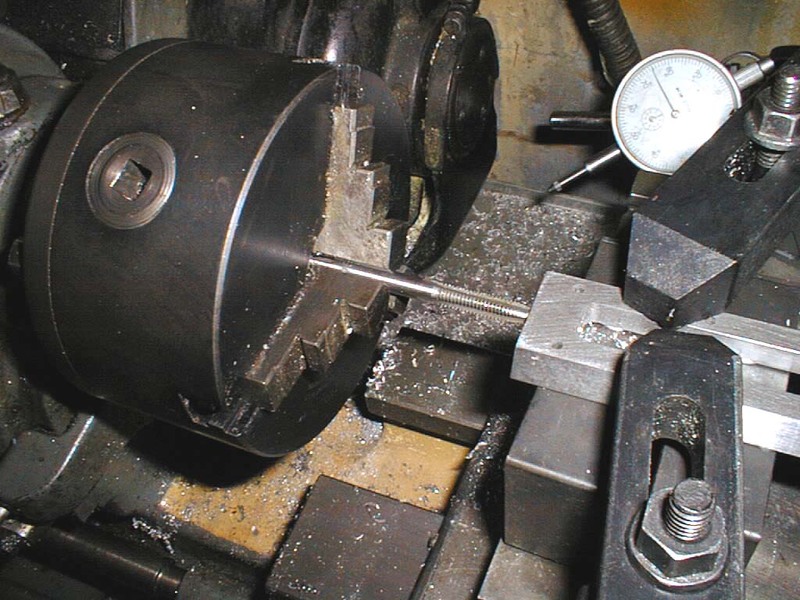 In the topmost position the work head can be rotated to permit machining of bevel gears. 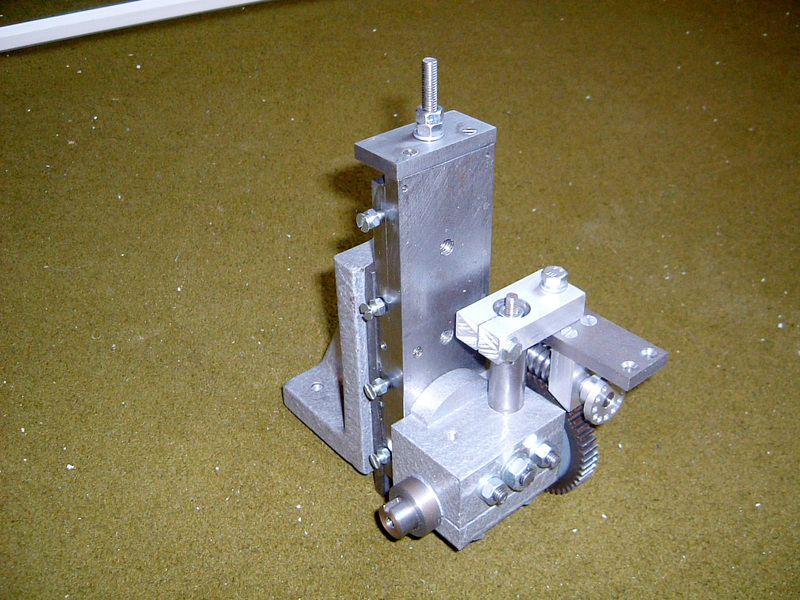 Dovetail slides are utilised along with a gib strip to locate the moving slide in the vertical axis. 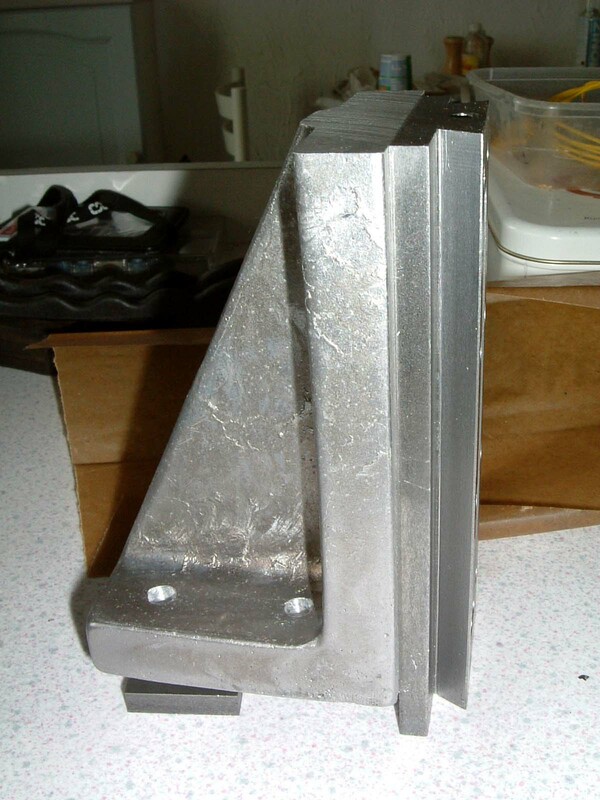 Jacobs used a piece of 4 1/2" x 2 1/2" angle to make the bracket for the slide, as I don't have any of this stuff an alloy casting will be made instead. As a modification to the original drawings, a locking mechanism will be added to the gib strip to keep things a little more rigid. 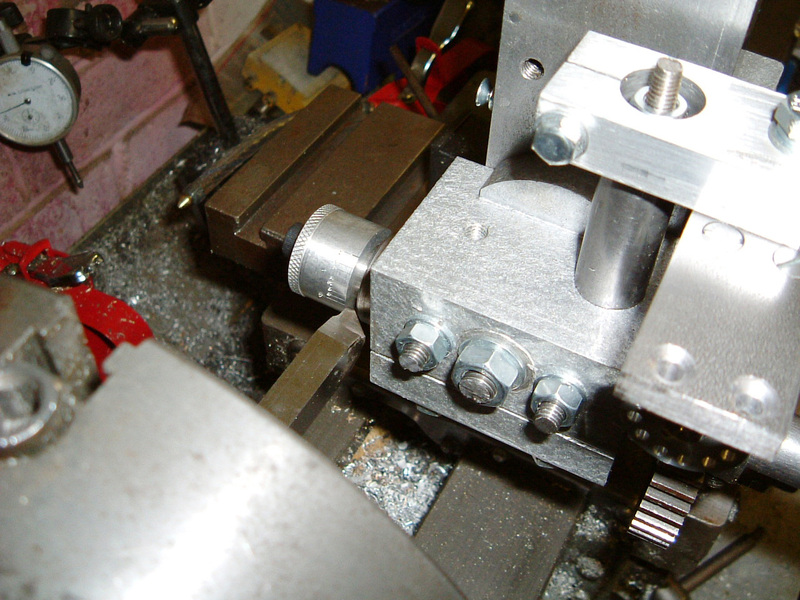 17-May-2003: The fixed part of the dovetail has been cut, now in the lathe so that the nut can be tapped (by hand!) parallel to the face and sides. 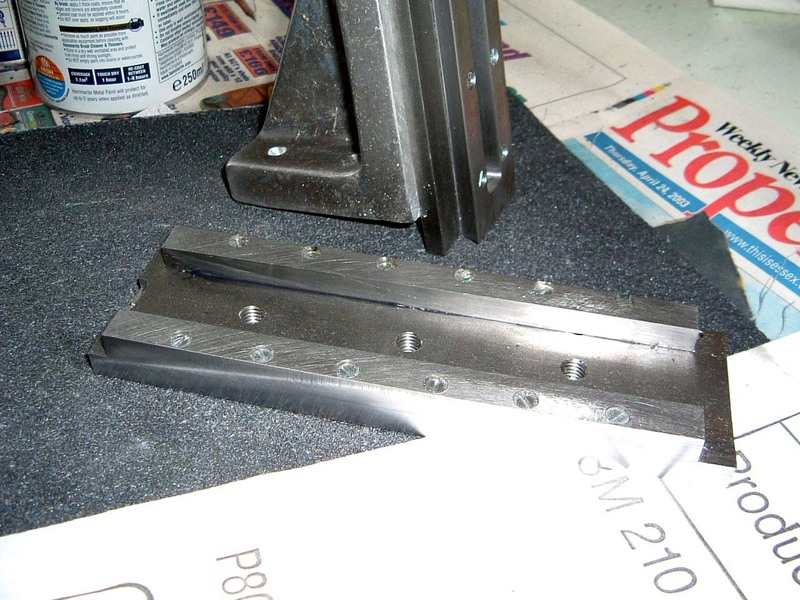 18-May-2003: The casting for the bracket has been finished, and the dovetail and backplate attached. 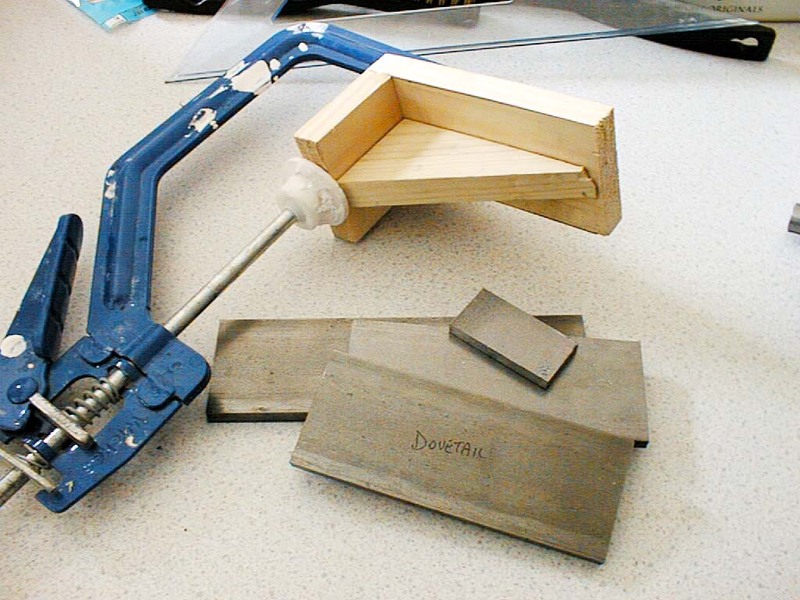 The whole lot is held together with 8 countersunk M3 screws and epoxy adhesive. 23-May-2003: Everything had been going good up until the slide... The gauge plate strips had been drilled slightly off angle, but the sides of the slides have been ground to mask this. A total of 12 M3 screws hold the strips to the slide, I managed to drill one side M2.5 to tap M3, and the other side M3 so no threads - the far side is just held on with glue and the screws used as pins. Not sure if this will hold up or I have to make another one. 9-Jun-2003: No work for a little while due to other commitments, but back on the vertical slide now and cutting the dovetail. 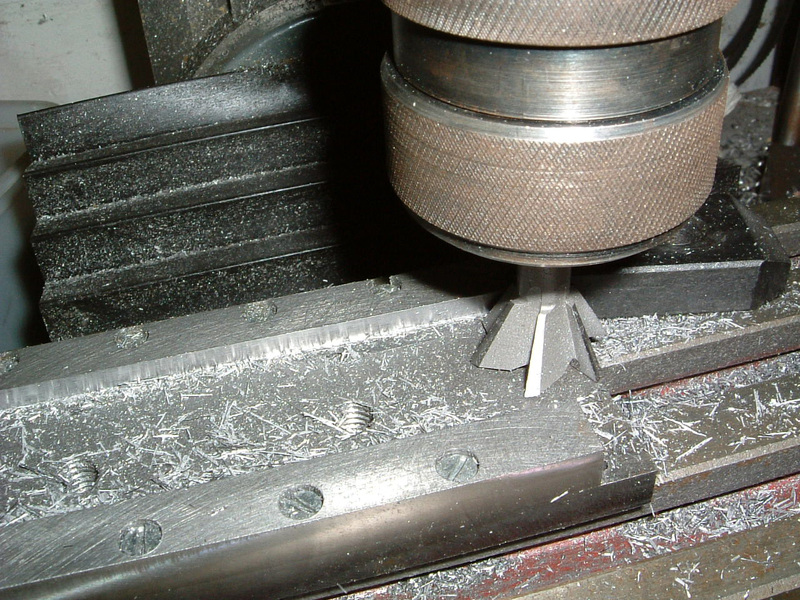 This is not much fun on the oil hardening gauge plate, cutting off 0.005" each pass. 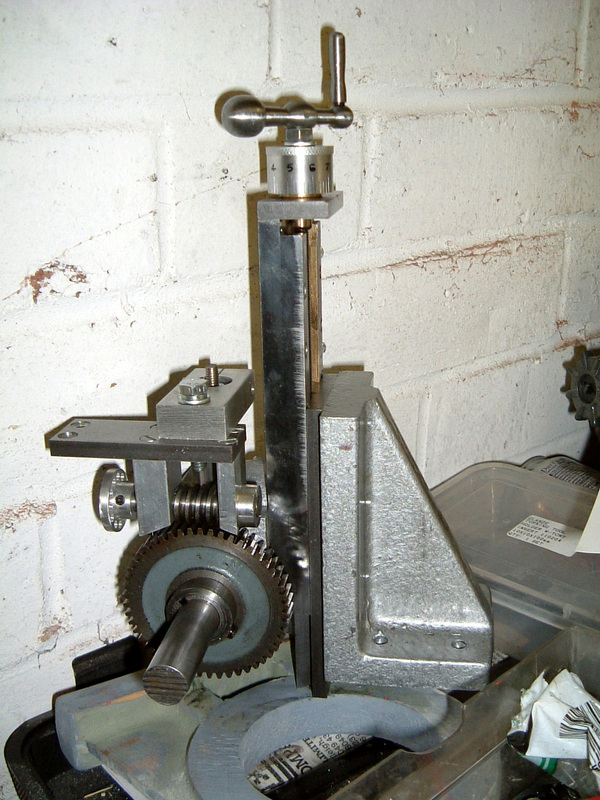 View from the back, the gib strip is made from brass - cutting up more gauge plate doesn't appeal to me right now. If it wears unevenly and/or quickly, it will get replaced. There is also a small brass collar underneath the top bracket which has been simply tapped M6 to fit the M6 x 1.00 feedscrew and glued to the feedscrew with epoxy. 12-Jun-2003: There is enough of the machine built to allow it to graduate its own dial. 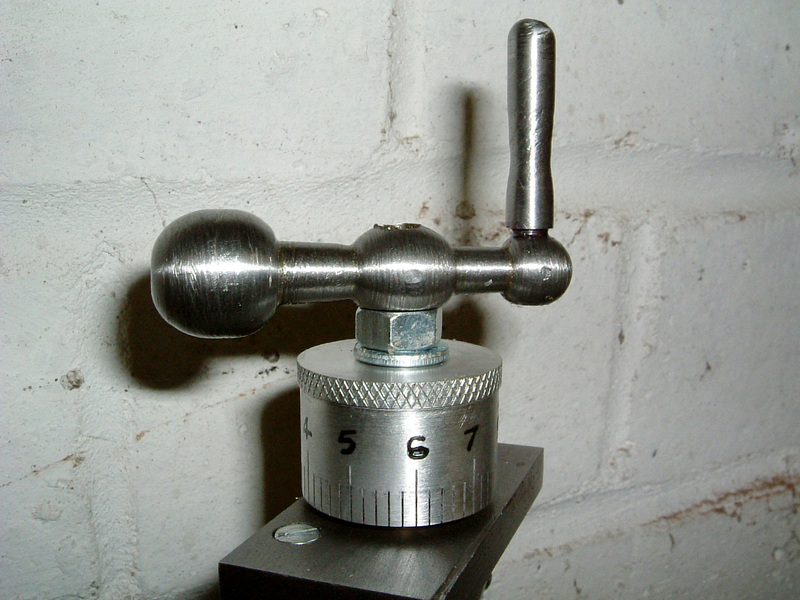 Fitted with a 50 tooth change wheel, it's an easy task to put 50 graduations on the dial each representing 0.02mm.